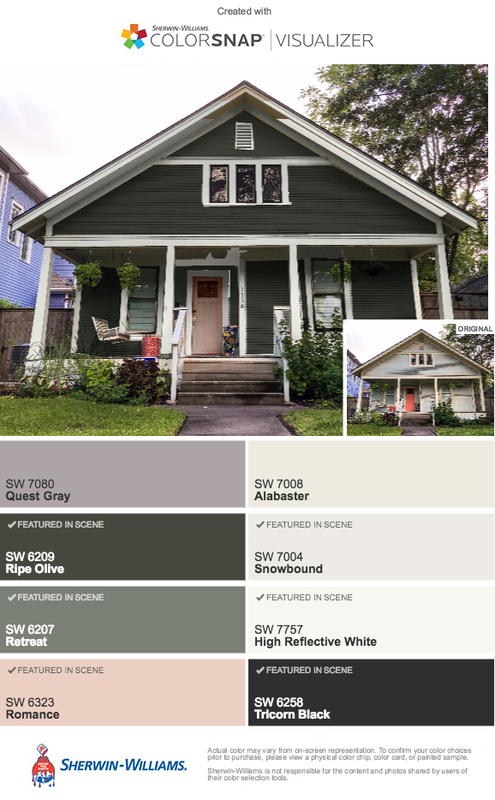 Meanwhile, we've started looking at paint colors for the exterior of the house. Truth? We've been looking at paint colors for over a year. My kids have begun to revolt when we drive around the neighborhood looking at paint combinations. We were asked to pick a paint color way back in October before we picked the roofing material. Remember this? Yep. September was so long ago. I was dead set on that Farrow and Ball Pigeon (mostly because pink door, let's be honest). Until I realized that I am just not a grey person and this is just not a grey house. I know the pigeon doesn’t look grey in the pictures. I get that. But in the light of my block, it looks boringly grey. I just couldn’t do it. So I tried a more green-grey. Still too grey. And probably not all that different than the Pigeon. Olive? Too dark. Although maybe. I had to think about what was next door (reminder: orange to the south and periwinkle to the north) and the fact that Houston sun is H.O.T. so a dark color is going to fade the day after it is painted. When the roofers were ready, we still had no paint color, so we just picked a roof color and figured that would limit our paint options. I will not be winning any design awards with this step of the project. Real life. Once the roofing was on, we swung the complete opposite direction in paint color and decided to go Southern Classic: white house, black window sashes, grey porch, haint blue porch ceiling. I looked around at all the other white houses in my neighborhood and just couldn’t do it. As much as there is “southern” in modern southern bungalow, the white didn’t seem to do anything for the house. So we went back to what was going to happen inside. We looked at the clear blue and green hues we were gravitating toward and decided that light and calm looked like blue. 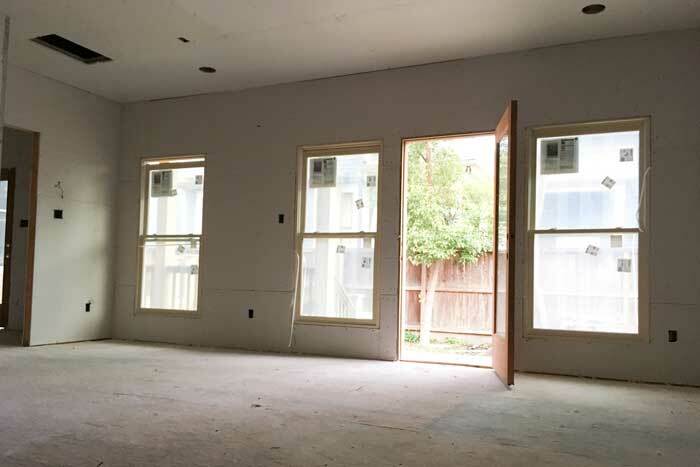 Our decision to go light blue was punctuated by the fact that the house I had originally wanted when we moved to Houston is a beautiful light blue. It didn’t hurt that the color we were 98% sold on was featured in this month’s House Beautiful. I mean, it was a sign, right? I was all set with my Sherwin Williams Little Boy Blue, some white and black trim, and an emerald green door. But what if my house turned out looking like a little boy's nursery? Nine light blues, two darker teal blues, and five more whites later (one of which is most certainly pink - I mean I don't know, maybe we go pink? ), we still don’t have a house color. I’m fairly certain that the neighbors think we are insane. I’m also fairly certain that I’m going to just paint my house striped and move on. Life is too short. My husband is convinced that I will be hit with sudden inspiration while in Palm Springs this week. Let’s all hope he is right.